It has been ages since I last posted on this blog. Motherhood takes a toll on me definitely. Having to care for a tiny newborn, going through post-natal stresses, overcoming fears and traumas of first childbirth, thinking of work-related issues, preoccupying myself in paranoia of problematic recovery, struggling over breastfeeding and dealing with the pain that comes with it all busied myself during the lull time. OK, I have listed all the excuses I could think of to prevent me from writing. But here I am now and all I could think about is to write about food! My baby is 2 months old now, I should start dieting a little and watching what comes in my mouth. I've been eating as if I am still pregnant so it adds to the pounds I am continually gaining. I have promised myself to eat a balanced meal but with all the sumptuous food on the net and those that I've been deprived of, I cannot stop myself from thinking about food! I don't see any reason for anyone not to surrender to this sweet-make-me-happy-comfort-food. For me it is a comfort food and not considered a guilty pleasure. Amidst all the myths we hear about eating chocolates, it does more good to us than bad. 1. The chocolates reduce high Blood Pressure due to presence of Flavonoids in cacao which balances the blood pressure and also decreases the blot clotting. The chocolates are used in intensive hyper active drugs. 2. It is high on improving the flow of blood to the key regions of the brain for about two to three hours in a continuous form after eating chocolates. Thus help in decreasing tiredness, ageing effects and sleepiness. 3. According to MSNBC, the chocolates are best in giving boost to the moods. The caffeine presence eases the symptoms of premenstrual. 4. It can avoid the damage of cells. 5. The pure dark chocolate is helpful in improving and balancing the blood sugar levels. 6. Eating few squares or slabs of chocolate can decrease the risk of heart attacks or can decrease the chances of death by a heart attack by over 50%. 7. 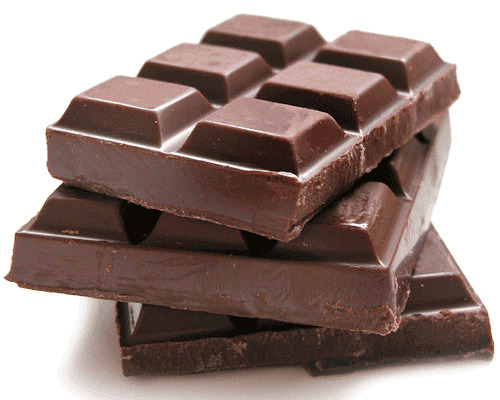 According to a study, a person having chronic fatigue syndrome after eating 1.5 ounce of chocolate feels easiness. 8. It is beneficial in lowering the LDL cholesterol and raising the HDL cholesterol. 9. It increases the metabolism of the blood sugar in one's body which further reduces the chances of diabetes. 10. As per the UK study, Theobromine component of cocoa is affective in giving an ease to a persistent cough as it opens the airways of the lungs. With the listed benefits of eating chocolates, particularly dark chocolates, who would go wrong in putting that sweet in your mouth. A reminder though, that anything in excess is bad for you. Now don't think about those calories for a minute. Grab your chocolate and eat it with pleasure!